Your dog will thank you on wet days for a neoprene dog coat from Everything Outdoor. New kit at the Boxing Day shoot is always part of the fun, so why should your gundog miss out? 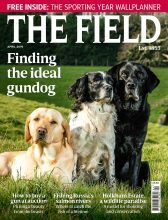 David Tomlinson suggests the best presents for gundog, all with a practical purpose for the field.  Sporting sorts can be tricky to buy for, so if you’re left unsure on how to stuff the stocking, read The Field’s Christmas gift guide for men. From a handy portable charger to snazzy boxers and a subscription to the ultimate sporting journal, you can’t go far wrong. Do you give your dog a Christmas present? Some 63% of Americans do and it’s probably a similar figure here, too. However, I wouldn’t be surprised if many working dogs miss out. I can’t recall any Boxing Day shoots or meets where I’ve spotted dogs sporting new collars, coats or leads, despite the fact that their owners are showing off pristine cartridge bags, hats or boots unwrapped the day before. I can’t recall ever giving my dogs presents. If I were able to ask them what they’d like, I’m sure the answer would be an unlimited supply of T-bone steaks. The way to a dog’s heart is via its stomach. They certainly wouldn’t be interested in collars studded with Swarovski crystals or dinner bowls with their names inscribed on the side. If you do feel the urge to give your four-legged companion a gift, however, here are a few practical suggestions. My spaniels have tested a great variety of beds over the years and seem happy with whatever they are given. However, they are always keen to sample the beds of any visiting dogs. It’s remarkable how a full-size springer will squeeze into a bed that’s a tight fit for a cavalier. Every pet store in the country offers dog beds and many are remarkably cheap. Go online and you will find a bewildering selection. I suspect that most working labradors would happily settle into a full-leather chesterfield in oxblood red (£540), though I’m not sure their owners would fork out the cash for such luxury. Outdoor retailer Orvis offers what is arguably the biggest range of dog beds, with prices from £80 to more than £350. All are proper functional beds that can be recommended for real sporting dogs, including the Toughchew, “specifically designed to withstand even the most persistent chewers, diggers and all-around bed-shredders”. Twenty years ago I would have laughed at the suggestion of giving a working dog a coat as Christmas presents for gundogs but I’ve changed my mind. You wouldn’t dream of not rugging a horse up after a day’s hunting and it makes just as much sense to do the same for a dog after a winter day’s shooting. Before buying, check whether the coat is suitable for general exercise or designed as a post-exercise rug. Some will do both. I advise buying from a specialist manufacturer that understands the needs of working dogs. Equafleece, for example, offers a wide range of competitively priced coats and jumpers with designs to fit anything from a springer to a lurcher. The Polo Neck Coat is easy to put on and ideal for use after exercise (around £30 for a springer). If you’re taking a dog wildfowling or want a tough, protective coat that a dog can wear when working on a filthy day, then body-hugging neoprene is the answer. My spaniels work and swim happily in neoprene coats supplied by Norfolk-based Everything Outdoor (£35). These coats offer terrific protection in the wettest of conditions, the only drawback being that they are not suitable for working in brambles as the prickles catch on the neoprene. One law that many gundog owners are lax about is ensuring that their dogs wear a collar with nametag when being exercised in a public place. Since buying my dogs smart leather collars I’ve become much more law abiding. Do ensure that any collar you buy is made from genuine bridle leather as it lasts so much longer and has hand-stitched brass fittings. Blackdogtrading offers top-quality bridle-leather collars (and leads) at competitive prices, starting from around £15.50. For both durability and handling, nothing beats a genuine rope slip lead, though do avoid the cheaper, lookalike nylon or polyester alternatives (the latter are tougher but not so good to handle). The best slip leads are made from top-quality marine rope; to keep them clean and supple, just stick them in the washing machine. The Dog Lead Shop offers rope slip leads with brass fittings from around £8. Choose the thickness and length you prefer and my advice it to opt for bright colours, which are much easier to find when dropped in the shooting field. One of my spaniels, as a puppy, showed her dislike of leads by biting them in half. However, she has always been keen on dummies and loves retrieving. Retrieving dummies come in all shapes and sizes and are fantastic Christmas presents for gundogs. But nobody offers a better product than the Working Dog Company, the soft, rugby-ball shaped dummies of which come in two sizes (pheasant and partridge) and a variety of colours. Again, opt for the easy-mark black-and-white dummy so you still have it at New Year. Happy Christmas.